The Napoleonic era is a period in the history of France and Europe. It is generally classified as including the fourth and final stage of the French Revolution, the first being the National Assembly, the second being the Legislative Assembly, and the third being the Directory. The Napoleonic era begins roughly with Napoleon Bonaparte's coup d'état, overthrowing the Directory, establishing the French Consulate, and ends during the Hundred Days and his defeat at the Battle of Waterloo (9 November 1799 – 18 June 1815). The Congress of Vienna soon set out to restore Europe to pre-French Revolution days. Napoleon brought political stability to a land torn by revolution and war. He made peace with the Roman Catholic Church and reversed the most radical religious policies of the Convention. In 1804 Napoleon promulgated the Civil Code, a revised body of civil law, which also helped stabilize French society. The Civil Code affirmed the political and legal equality of all adult men and established a merit-based society in which individuals advanced in education and employment because of talent rather than birth or social standing. The Civil Code confirmed many of the moderate revolutionary policies of the National Assembly but retracted measures passed by the more radical Convention. The code restored patriarchal authority in the family, for example, by making women and children subservient to male heads of households. Whilst working to stabilise France, Napoleon also sought to extend his authority throughout Europe. Napoleon's armies conquered the Iberian and Italian peninsulas, occupied lands, and he forced Austria, Prussia, and Russia to ally with him and respect French hegemony in Europe. The United Kingdom refused to recognise French hegemony and continued the war throughout. The First French Empire began to unravel in 1812, when he decided to invade Russia. Napoleon underestimated the difficulties his army would have to face whilst occupying Russia. Convinced that the Tsar was conspiring with his British enemies, Napoleon led an army of 600,000 soldiers to Moscow. He defeated the Russian army at Borodino before capturing Moscow, but the Tsar withdrew and Moscow was set ablaze, leaving Napoleon's vast army without adequate shelter or supplies. Napoleon ordered a retreat, but the bitter Russian winter and repeated Russian attacks whittled down his army, and only a battered remnant of 30,000 soldiers managed to limp back to French territory. 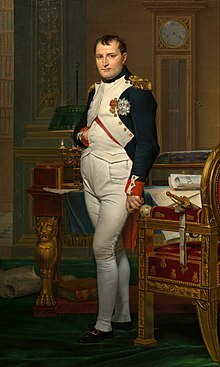 The allies then continued a united effort against Napoleon until they had seized Paris forcing his abdication in 1814. His return to power the next year was resisted by all the allies and his army was defeated by an Anglo-Allied force at Waterloo. This is an incomplete list of Acts of the Parliament of the United Kingdom for the years 1801–1819. Note that the first parliament of the United Kingdom was held in 1801; parliaments between 1707 and 1800 were either parliaments of Great Britain or of Ireland). For Acts passed up until 1707 see List of Acts of the Parliament of England and List of Acts of the Parliament of Scotland. 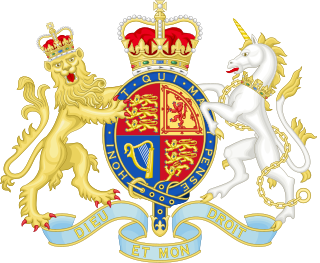 For Acts passed from 1707 to 1800 see List of Acts of the Parliament of Great Britain. See also the List of Acts of the Parliament of Ireland. The military career of Napoleon Bonaparte spanned over 20 years. As emperor, he led the French Armies in the Napoleonic Wars. He is widely regarded as a military genius and one of the finest commanders in world history. He fought 60 battles, losing only eight, mostly at the end. The great French dominion collapsed rapidly after the disastrous invasion of Russia in 1812. Napoleon was defeated in 1814; he returned and was finally defeated in 1815 at Waterloo. He spent his remaining days in British custody on the remote island of St. Helena. France had several client states between 1792–1815 and 1852–1870.